Nowadays it’s easier than ever for someone to find a trusted online poker site. Opt for a platform that exudes reliance, and the simplest way to do that is by checking online reviews. If you’re an avid player with some experience, playing for real money from the start shouldn’t be a problem. Beginners are advised to try out the freeplay games first. Now that you have website and the cash, your next move is to download the software. It’s free and it’s all just a matter of click-click-finish. Register for an account (also free), make a first deposit (it usually comes with some added bonus) and head over to the lobby to pick a tournament. Make sure you have enough money to participate. Shootout – single table satellite games where there’s a winner at each table; those winners will move on to the next round, and so on. It’s paramount for a poker player to take risks at the beginning of the tournament because that’s the time when bad players give away their chips. Speculate as much as you can, make raises and limp in with hands like suited connectors, pocket pairs, and suited A-x. Prior to venturing yourself in all kinds of tournaments you know very little about, answer yourself the following question – what type of player are you? Deep-stack tournaments demand a lot of patience and fortitude. Blind levels rounds can last for 20 minutes, so at a $10 buy-in and 300 players you should be ready to spend at least 6 hours at that table. If you’re not the patient type and you’re really fast in making decisions, turbo tournaments are your best bet; or if your budget is limited, maybe it would be smart to try your luck in a freeze-out. The choices are limitless, you just have to find that type of tournament that best fits your demands and expectations. In an expected turn of events, Las Vegas prosecutors dropped all hacking charges against a pair of gamblers who took advantage of a software glitch in a video slot machine to win up to $400,000. The glitch allowed the defendants, who still face a charge of wire fraud, to play back a previous winning hand and earn ten times the earnings (for example, a pair of jacks that won $.50 could automatically be played in the following hand for $5.00). While the defendants may have knowingly taken advantage of the software glitch, they in no know engineered or programmed it, and were only playing by the machine’s own (albeit flawed) rules. Video poker machines were introduced to casinos in the late 1970s and heave increasingly grown in popularity ever since. While an easy $400,000 jackpot may not be in the future for all video poker players, these machines rank among the most popular and highest paying machines in casinos across the country. 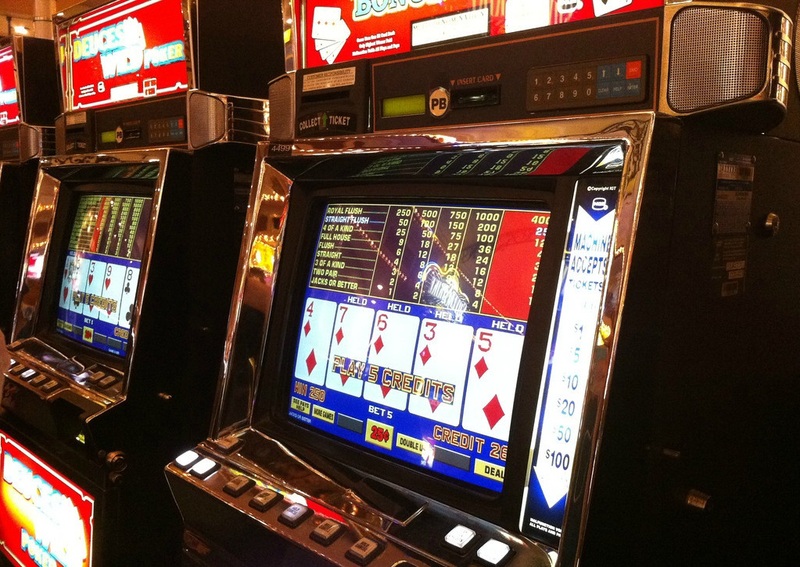 Opposed to slot machines, which only require the player to pull a lever and hope for the best, video poker machines encourage players to use odds and statistics to predict when to fold, when to stay and when to draw new cards. A smart player employing optimal strategy will often see a return near, at or even beyond 100%. Such profitable machines are always a risk for casinos, but research shows that very few players employ optimal strategy, and those who do rarely stick around long enough to profit. 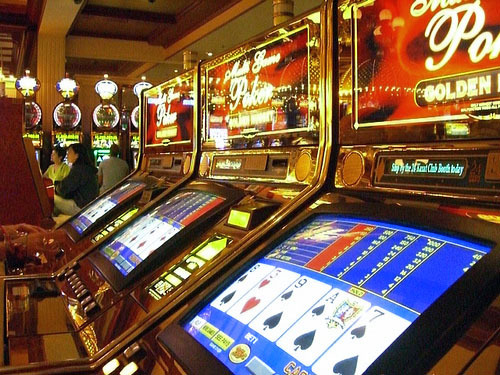 Most surprisingly, many players do not even register a difference between video poker and video slot games. While the defective machines have been removed and reviewed by manufacturers, video poker continues to offer a diverse catalogue of games that will appeal to any casino patron. Video poker games were introduced to American casinos in the late 1970s, and over the next decade they became among the most popular machines among local gamblers. Today video poker games account for more than 50% of the floor space reserved for slot games. It is easy to understand the meteoric rise in popularity. Video poker games offer the same relaxed, private experience of slot machines, while incorporating strategy and skill related to standard hands of five draw poker. While many video poker games offer a return of more than 100% after an extended period of optimal play (meaning a profit can be made), most players treat video poker as a slot machine and place their bets randomly. For starters, familiarizing yourself with the standard winning hands in a game of poker will be helpful. The lowest winning hand on most video poker games will be a pair of jacks. 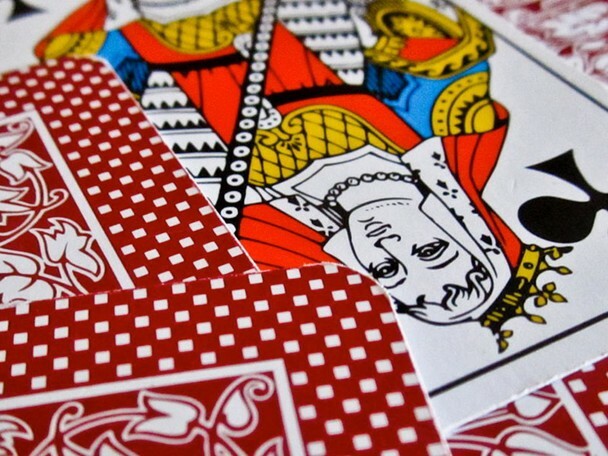 In real poker, any pair of cards holds some value, with a pair of 10s falling just below a pair of jacks. A simple pair is rarely a winning hand in any game of poker, however, and jacks, queens, kings and aces are the only pairs that will yield any return on a video poker machine. Better than one pair is, of course, two pair. In this case, neither pair needs to be a face card. While the lowest possible two pair hand, two 2s and two 3s will beat out a pair of jacks. Three of a kind includes any three cards of the same rank. A straight is the lowest five card hand a player can have, and constitutes any consecutive cards of mixed suits. For example, a three of hearts, four of diamonds, five of clubs, six of spades, seven of diamonds. 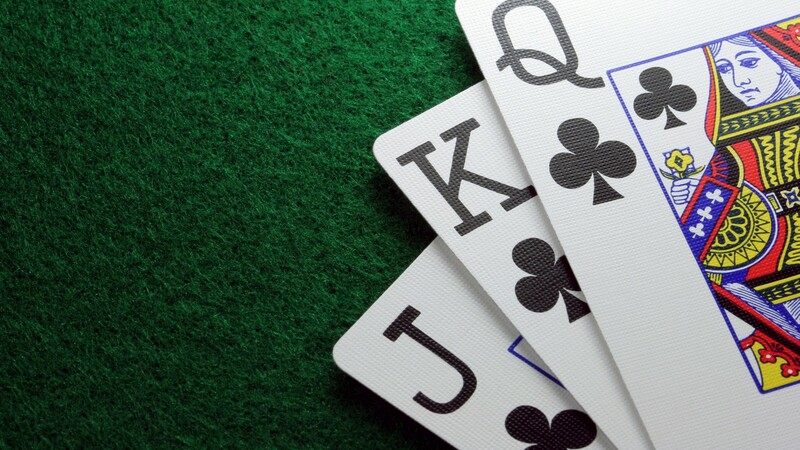 A flush is similar to a straight, and is made up of any five cards of the same suit. Regardless of rank, five hearts, diamonds, clubs of spades yields a flush. A combination of the two, a straight flush, is the second highest hand in poker and includes five cards ranked in order of the same suit. A full house will beat a flush, and includes three of a kind and a pair. For example, three jacks and a pair of 5s is a full house. Four of a kind beats a full house and falls below a straight flush. The highest possible hand in all of poker is the royal flush. It is a specific straight flush where the lowest card is a 10 and the highest is an ace. No matter what version of video poker you are playing, a royal flush will offer a huge payout if not a jackpot. Video poker is one of the most popular games in casinos, and is based off of a standard five card hand of draw poker displayed on a video screen. While there are a few similarities between a game of video poker and slot machines, playing video poker involves a much higher degree of strategy than slot machines or other video slot games. 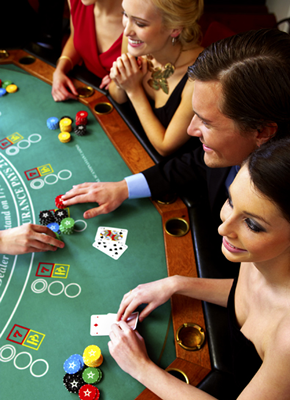 This may be a turn off to some beginners, but skilled players will enjoy having more control over their winnings. Video poker games were introduced in the mid to late 70âs, and since the 1980s have been among the most widely used games at any casino. Las Vegas casinos are especially known for their video poker machines. Not only do video poker games offer a higher degree of interaction compared to slot machines, but many players prefer the privacy of a video screen opposed to playing poker at a table with a dealer and several other players. With video poker, players get the best of both worlds: the strategy of poker and the one on one experience of a slot machine. If you have grown tired of slot machines and are looking to try your hand at a round of video poker, make sure you know what you are getting yourself into. 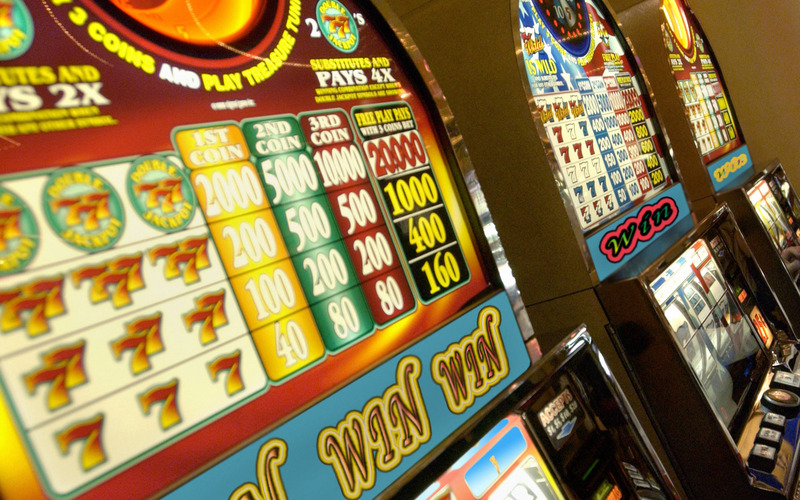 Many casinos offer video lottery terminals, often marked VLT, which are machines that appear to be poker themed but in actuality are random draw games requiring no more skill than slot machines. If you are tired of the repetitive, chance based play of the slots, try video poker. The game comes in several variations, including Deuces Wild (where 2âs are wild), double or triple pay schedule modification (where a hand of aces can yield huge bonuses) and multi-play poker, where the player draws a base hand and then continues to draw from several decks while holding the base hand. 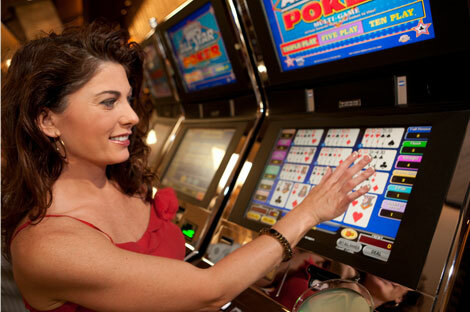 With multiple variations on these types of games, there is a video poker game for everyone. Video poker games have been popular in casinos all over the world since the 1980s. Based around a game of five draw poker, video poker machines are a strategy oriented alternative to the random payout play of slot machines. Since strategy is involved, understanding how to play video poker is key for any customer looking to win big. Play starts when the customer places an initial bet. Before placing a bet, however, players should examine the payout table on the machine. The payout table will list the various winning combinations and how big the payout is. After a bet is placed, the machine will deal a hand of five cards, and the player is given the opportunity to discard one or more in exchange for new cards from the same deck. If the hand matches any of the combinations listed on the payout table, the customer will be rewarded accordingly. The strategy, of course, comes in understanding the odds of a standard deck of cards, knowing when to replace a card or two and when to waive a hand entirely. Winning hands are different on every machine and may vary depending on the style of the machine, but most payout tables include standard winning combinations such as a pair of jacks or higher ranked face cards, three of a kind, full house and a royal or straight flush. Certain video slot machines have specific bonuses or combinations that pay out higher than normal, and various video poker games like Deuces Wild or multi-play poker have modified rules. Whichever video poker game you end up playing, a basic knowledge of card statistics, odds and general poker play will allow customers to control their winnings much more directly than the randomized lever pulling of a slot machine while offering a similar, private gambling experience.